Battlefield 4’s newest expansion, Dragon’s Teeth, launches tomorrow for Premium users. For everyone else, there’s another two week wait. To tide you over until then, you can just watch this 30 second teaser trailer over and over again for the next 14 days. 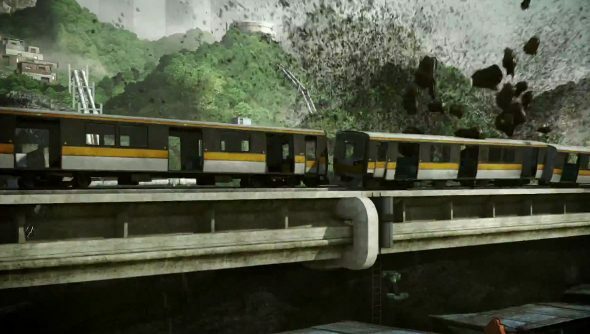 On top of trains getting demolished and the fancy new ballistic shields shown off in the teaser, players will have four new maps set in Asia to play with, a new remote controlled vehicle and some new firearms. It’ll come with a new mode, to boot. Chain link tasks troops with not just capturing points, but linking them up and maintaining that link. Are you getting the expansion tomorrow, or will you have to wait for another fortnight?